Google and network equipment maker Cisco on Wednesday partnered to provide businesses services in the internet cloud, joining forces in a market dominated by Amazon and Microsoft. The trend of companies and consumers opting to access computing power as services hosted online, instead of owning and maintaining their own software, has led to booming growth for Amazon Web Services and Microsoft's Azure offerings. Google has been a major player in cloud services outside of workplaces, and is striving to win more users in businesses. Cisco and Google said they will collaborate to offer ways for applications or services to be deployed, managed, and secured for businesses with a mix of on-premise and cloud capabilities. "Our partnership with Google gives our customers the very best cloud has to offer - agility and scale, coupled with enterprise-class security and support," said Cisco chief executive Chuck Robbins. California-based Cisco is one of the largest makers of internet network equipment, making hardware for a range of industries ranging from telecoms to connected devices. "This joint solution from Google and Cisco facilitates an easy and incremental approach to tapping the benefits of the cloud," said Google Cloud chief executive Diane Greene. 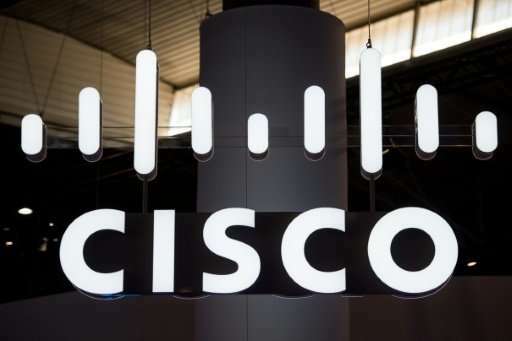 Cisco, which in May announced job cuts, announced this week it cut a deal to buy US cloud communications firm BroadSoft for an overall purchase price of approximately $1.9 billion.